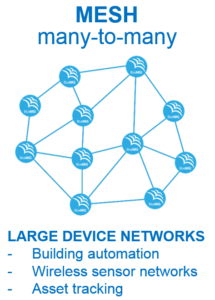 The best and most cost-effective way to start developing your Bluetooth mesh application is to use one of STM evaluation board, see below. 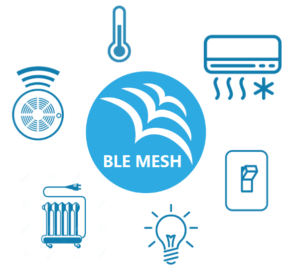 The BlueNRG-Mesh comes with pre-compiled binaries for these systems so starting a demo application is merely a matter of dragging and dropping a file in the board’s volume. This dramatically enhances the prototyping phase so teams can quickly start creating their solutions and move to their custom PCB.